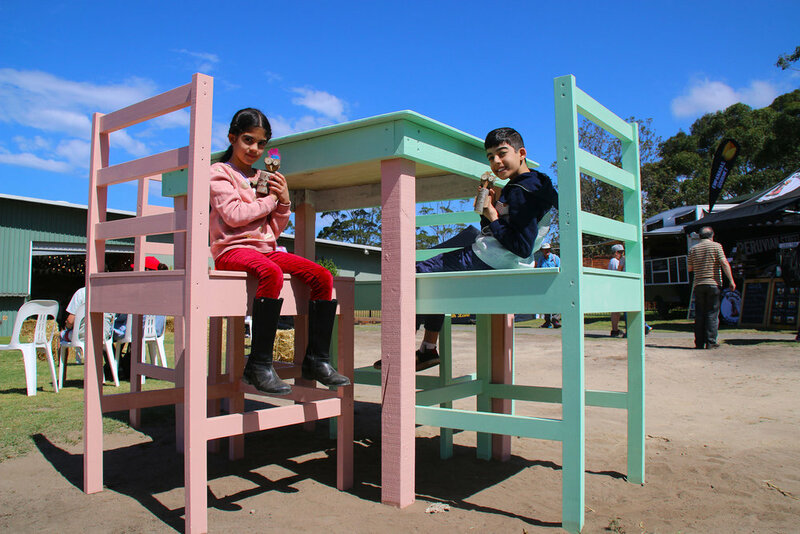 From Friday October 12 to Sunday October 15, Bulli Showground will play host to this year’s Illawarra Festival of Wood. Buoyed by the huge success of last year’s event, the festival returns to celebrate the traditions of working with wood, complete with an extensive program of events, exhibitor displays, and interactive workshops the whole family can enjoy. Co-ordinated by locals Suzanne Montague, who was part of the team that successfully ran the Scarborough School Art Show for 10 years, and Stuart Montague, a third generation woodworker and director at The Illawarra Woodwork School, the festival is supported by both Wollongong City Council and Destination NSW. Every tree has a story is the inspiration behind the Festival of Wood, which is all about bringing people together to preserve and promote traditions of working with wood, while providing an opportunity for local makers to showcase their work. The lllawarra has a long tradition of timber crafts. The local Indigenous population was known for their handiwork with the iconic cabbage tree palms and white settlers began timber felling from the early 1800s. The cedar getters of the escarpment, the timber butter box makers of the dairy industry and the planting of the lllawarra Flame Tree during the depression have given a profile to the importance of trees to the area. Reviving that relationship to the region through sustainable and responsible stewardship of the resources is a significant inspiration for the festival. Whether you’re a tradesperson, a wood enthusiast, an artisan, or just love the smell of timber, this year’s festival is bound to have something on offer that will interest and inspire. This is not a static trade show where you move past stall after stall, it is an experience for festivalgoers to discover, learn and perhaps participate in the story of timber, from the tree to the table. It is an opportunity to have a hands-on experience and come away with sawdust under your nails and shavings in your hair. 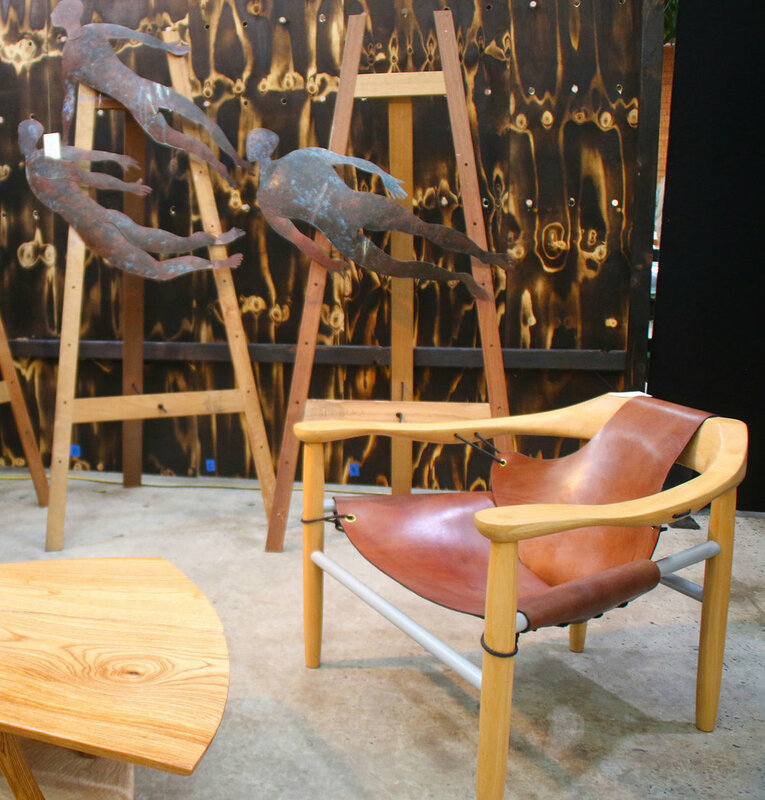 This year’s festival is set to include makers and teachers from a broad spectrum of wood working trades, including timber spear gun making, surfboard shaping, Japanese joinery, fine furniture design, tree house building and jewellery design. And workshops will include spoon carving, greenstick stool making, and pyrography. If you’d like to attend a workshop, make sure to book ahead on the website or at SouthCoast tickets to avoid disappointment. SouthCoast tickets will be donating part of the booking fee to charity. Earlybird entry and workshops are available online now. The festival will also have workshops that specifically cater to women and children. Supporting And Linking Tradeswomen, will run programs encouraging women and girls to try power tools and explore working with wood. The three-day celebration is a fun day out for the whole family. For the kids, there will be the opportunity to make a shield and sword, learn to climb trees, learn to crack a whip, ride in a Cobb & Co coach, build a bush critter and make chopsticks. Plus, there will be gourmet food trucks on-site and demonstrations throughout the weekend by a range of artisans – a chainsaw carver, an Indigenous and Maori wood carver and the South Coast Woodchoppers to name a few. Show your support for local artisans and makers, and don’t miss out on what is sure to be a long-standing event on the Illawarra calendar.